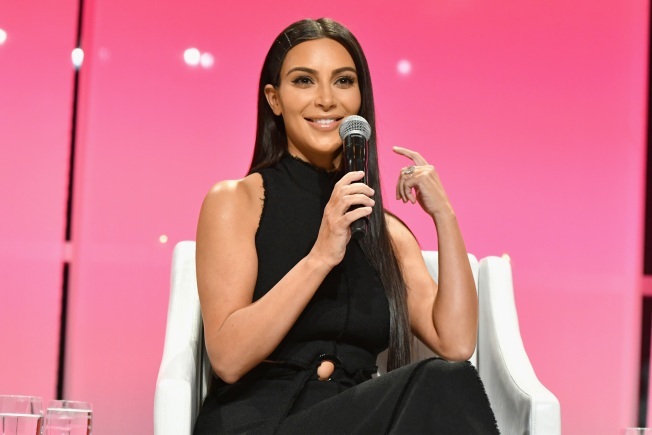 Kim Kardashian-West speaks at The Girls' Lounge dinner, giving visibility to women at Advertising Week 2016, at Pier 60 on September 27, 2016 in New York City. According to a profile in Vogue, the "Keeping Up with the Kardashians" star is studying to become a lawyer. And she started a four-year apprenticeship at a San Francisco-based law firm last summer. The name of the firm was not divulged in the article. "The White House called me to advise to help change the system of clemency,” she told Vogue, "and I’m sitting in the Roosevelt Room with, like, a judge who had sentenced criminals and a lot of really powerful people and I just sat there, like, Oh, s__. I need to know more." She added: "I would say what I had to say, about the human side and why this is so unfair. But I had attorneys with me who could back that up with all the facts of the case. It’s never one person who gets things done; it’s always a collective of people, and I’ve always known my role, but I just felt like I wanted to be able to fight for people who have paid their dues to society." What’s the hardest part? Torts. Kardashian West said torts is the most confusing, contract law the most boring and criminal law, "I can do in my sleep."